The Congress on Wednesday demanded an apology from Prime Minister Narendra Modi for comparing opposition parties to liquor. Addressing a rally in Meerut, Modi hit out at the Samajwadi Party, Rashtriya Lok Dal and Bahujan Samaj Party alliance, calling it 'mahamilawat' (adulterated). The first letters of the three parties stand for 'sarab' (the Hindi word for liquor is 'sharab'), which is bad for health, he said. 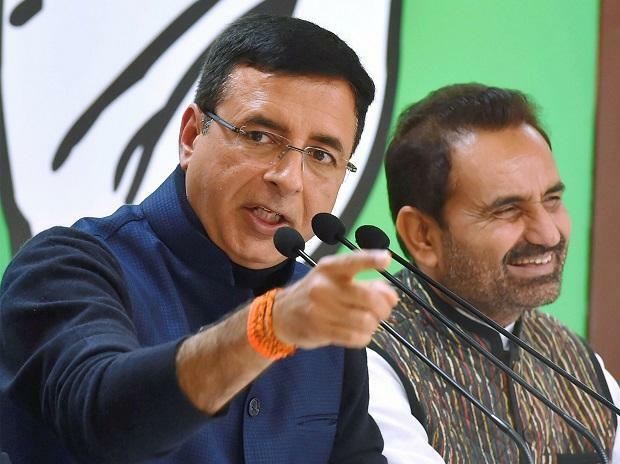 Reacting to the remarks, Congress' chief spokesperson Randeep Surjewala said, "You should apologise to the country as you have insulted the poor by comparing opposition political parties to liquor. You should either take back your words or apologise." Surjewala accused Modi of not doing anything and making tall claims. "Don't make fun of the poor, the country will not forgive you. You have lowered political discourse in the country," he said.